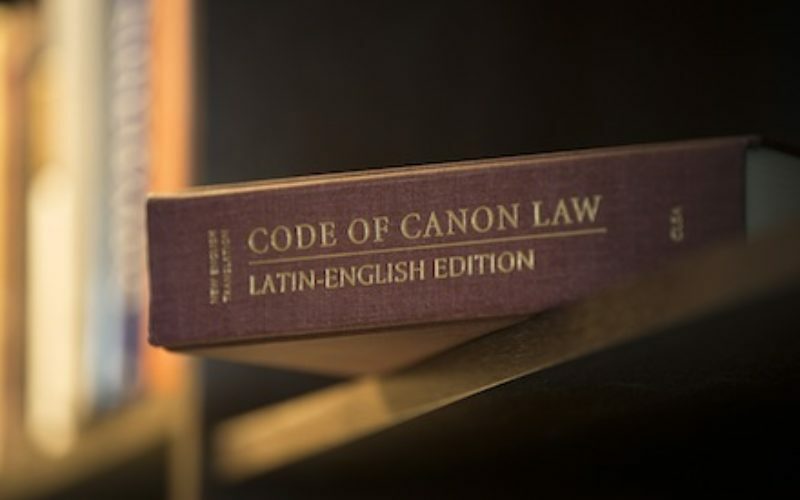 … Whereas formerly approval by the “Holy See” was needed for liturgical translations, now the Vatican needs to merely “recognize” and “confirm” the translations made and approved by the local bishops’ conferences themselves. Amoris laetitia is a post-synodal apostolic exhortation by Pope Francis addressing the pastoral care of families. Dated 19 March 2016, it was released on 8 April 2016. It follows the Synods on the Family held in 2014 and 2015. 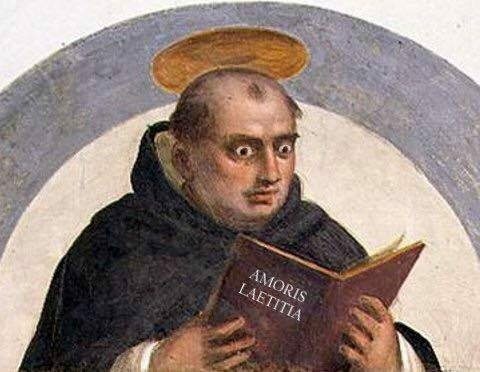 Amoris laetitia‘s Footnote 329 rips the Second Vatican Council’s Gaudium et spes 51 (concerning temporary abstinence from marital relations) completely out of context in order to argue that “doing it for the children” might mitigate the mortal sin of adultery. “ December 4, 2017 (Rorate Caeli) — This week, the Vatican’s organ for promulgating the Official Acts of the Apostolic See, Acta Apostolicae Sedis (AAS), has published its October 2016 issue, containing Pope Francis’ infamous Letter to the Buenos Aires Bishops. AAS not only published this letter, declaring that there are “no other interpretations” (“No hay otras interpretaciones”) of Amoris Laetitia other than those of the Buenos Aires bishops, but it also published the full Buenos Aires guidelines themselves, which permit Holy Communion in some cases for couples in a state of permanent and public adultery who are not committed to living in complete continence. “…Many of My sacred servants will not be immediately aware of what is happening. It will only be when they read letters, given to them from those in high places, that they will find difficulty. Those who uphold My Holy Word, given to man through the Gift of the Holy Bible, will be challenged and urged to accept amendments. These amendments will be given to them and they will be expected to swallow them, and accept them as The Truth. They amount to one thing…. It seems that when Bishop Egan spoke of “a new dark age” (on April 18, 2018 (LifeSiteNews), that he was referring to “Amoris Laetitia”. 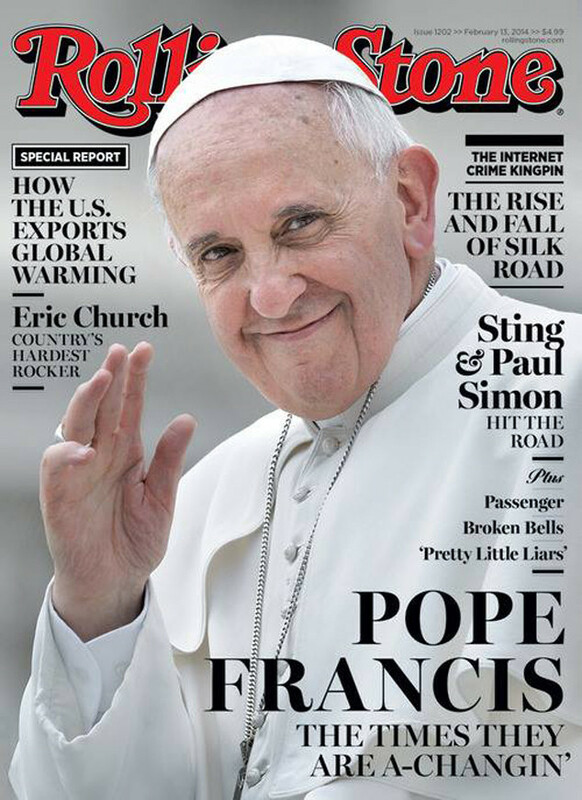 “Otherwise, the Pope warned, there would be catastrophic consequences for persons, families and society,” he added. An assessment of alleged environmental problems around the world which descends to an astonishing level of detail regarding technical and scientific matters never before discussed in a papal encyclical, producing a veritable environmentalist essay (Chapter 1). “Judeo-Christian” Biblical exegesis concerning the unity of creation, stewardship of the Earth and the value and interconnectedness of all created things (Chapter 2). The presentation of “an integral ecology” embracing all facets of life and society and producing a more just distribution of wealth and resources along with protection of the environment to remedy “planetary inequity” (Chapter 4). An outline of “ecological education and spirituality” aimed at “ecological conversion.” (Chapter 6). In LS Francis has committed himself to the “climate change” narrative and its related dubious science. species extinction and the destruction of biodiversity, including not only mammals, but fungi, algae, worms, insects, reptiles, “innumerable varieties of microorganisms” and mangrove trees (Cf. ¶¶ 20-50). declares the existence of a moral obligation to reduce greenhouse gasses (¶169). This is a very political agenda!!! “sins against the environment”??? REALLY?!! c) The Christian vision of the Triune God cannot be reconciled with the spiritualist mask of an ecology that appears to be open toward interreligious dialogue, but is interwoven with religious syncretism and pantheism. Evangelii Gaudium,( ‘Joy of the Gospel’ ) was addressed to “the bishops, the clergy, consecrated persons and the lay faithful” on the proclamation of the Gospel in the world today. So what happened to loving God with all your heart, souls and mind? Why only the reference to “love one another” ? • salvation is brought about by good works, salvation through natural religion. This is a grave error! See also many references in St Paul’s letters, St Peter’s vision in Acts 10.
that the Old Covenant, i.e., The Covenant of Moses, has been revoked and replaced by the New Covenant. No 247 directly explicitly and uneqivocally denies this defined article of Catholic Faith, and therefore is undoubtedly a serious error. Islam denies that Jesus Christ is the Messiah and denies that Jesus Christ is the Son of God.The Koran says he is just a prophet. Islam has no concept or relationship of God as the father of mankind, nor a concept or recognition of the Trinity, nor a concept of the Holy Spirit. • St. Peter Mavimenus (d. 8th century), martyr from Gaza. St. John Damascene (d. 749), Syrian Arab Catholic monk and scholar. Sts. Habenitus, Jeremiah, Peter, Sabinian, Walabonsus, and Wistremundus (d. 851), Martyrs of Cordoba, Spain. • Sts. Aurelius, Felix, George, Liliosa, and Natalia (d. 852), martyrs of Cordoba, Spain. • St. Thomas Aquinas (d. 1274), Theologian and Doctor of the Church. “This Encyclical bears the clear influence of Benedict XVI..
“By underscoring at the very beginning of Lumen Fidei that his reflections on faith, drawn largely from the draft left him by Benedict XVI, were “in continuity with all that the Church’s magisterium has pronounced on this theological virtue,” Pope Francis has quietly but unmistakably announced that, modest alterations in the “accidents” of papal clothing and residence notwithstanding, the “substance” of the Petrine Office in the Church remains unchanged. For, as he writes, “the Successor of Peter, yesterday, today, and tomorrow, is always called to strengthen his brothers and sisters in the priceless treasure of the faith which God has given us as a light for humanity’s path.” That strengthening comes for a constant proclamation of the truth of Christian faith, which is a constant invitation to friendship with the Lord Jesus Christ and incorporation, through that friendship, into his Church — a communion of disciples in mission. Well it seems that this (first encyclical) seems to not have errors, but in hindsight can we say that what Pope Francis proclaims is true? Can we really say that his “reflections on faith”, have REALLY been “in continuity with all that the Church’s magisterium has pronounced on this theological virtue”? Has he REALLY always proclaimed the truth of the Christian faith??? With the advantage of hindsight, we see that a pontificate of evangelical reform is indeed well on its way despite all the opposition from some very brave eminent cardinals bishops and priests. This is a reform – not to bring us back to the Truths laid down by Christ – but are to suit man and his weaknesses. God’s commandments and Christ’s teachings are being relegated to the bin. Part 2 – Evangelii Gaudium to be posted tomorrow. 1. Plaster fell down near Michelangelo’s statue of the Pieta in the Vatican. The Church is also the Mystical Body of Christ. Is the ceiling plaster falling in chunks, a symbol of the structure of the One, Holy, Catholic and Apostolic Church beginning to crumble? Maybe this is the sign. After all, the Church will crumble as Bergoglio dismantles it and as he destroys its teachings and traditions – bit by bit. The ceiling plaster falling, is like the rumble before the schism. Not all is well in the Church! 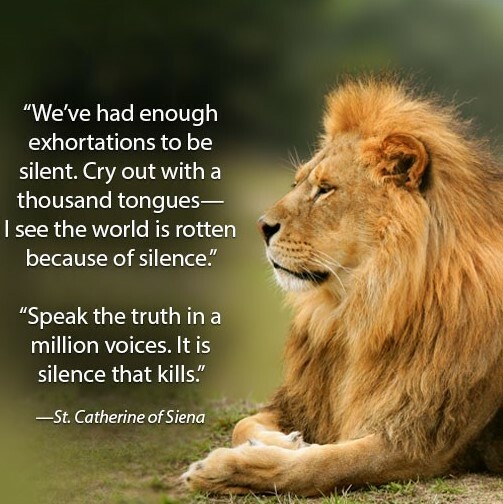 “ Basically, the Vatican denies it but not really! Just denies that they were his exact words and denies it was an ‘interview’. 3. Pope Francis did not kiss Jesus’ feet, but his face. “My dearly beloved daughter when Judas Iscariot betrayed Me, he held My Head and kissed me on the cheek. When those who lead My Church say they love Me, and then betray Me, you will see, clearly, their kiss of betrayal. at the historic Regina Coeli prison in Rome this last Holy Thursday. As we know, the washing of the feet is to remind us of the first Holy Thursday, where Jesus washed the feet of his 12 apostles – i.e. the first bishops of the Christ’s Church. Why then, would Pope Francis include two Moslems and a Buddhist? Is this a sign of the new One World Church to come? (That is, this new church, not of Jesus Christ, but represented by religious leaders of a variety of faiths: Buddhists, Moslems, Hindus, Catholics, other Christians, atheists…all will be welcome.) Just as Jesus washed the feet of his Apostles – bishops of His Church – Bergoglio washes the feet of people representing all religions – the new One Worl d Church. Remember the very first “popevideo” of Pope Francis (entitled “The Pope Video – Inter-religious Dialogue – January 2016”) which shows a Buddhist, a Jew, a Moslem and a Catholic priest?